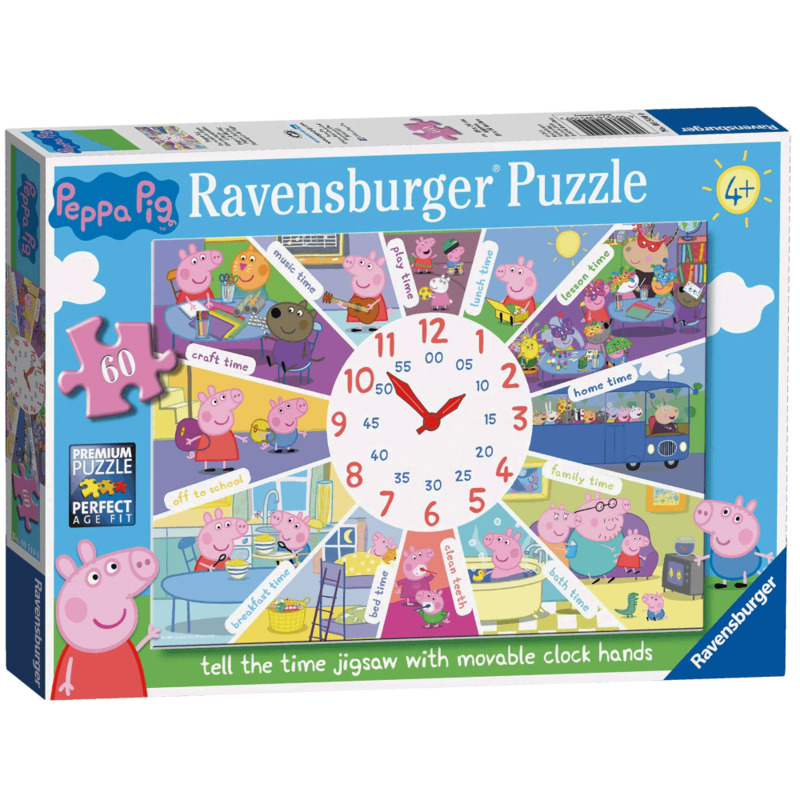 This colourful puzzle captures all the fun of a day in the life of Peppa Pig. It's breakfast at 8, off to school at 9 and lunch time at 1. Assemble the puzzle and talk about the pictures and turning the movable bright red plastic clock hands on the clock face to different times is a great way to introduce children to the concept of time. You can compare your day to Pappa's, what time do you go to school, eat your lunch, go to bed? They can see that Peppa's day is very similar to their own and as she enjoys spending a busy day with friends and family.